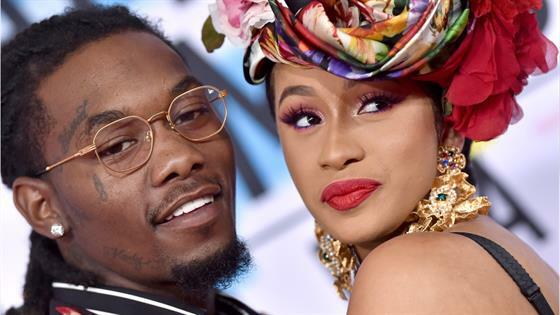 It's been more than a year since Cardi B secretly married Offset and the two are still acting like newlyweds. Very naughty newlyweds. The 26-year-old "Bartier Cardi" rapper posted on her Instagram page on Friday a video of her and the 26-year-old Migos rapper partying it up and packing on the PDA on a yacht. She is seen twerking in a bikini while he dances beside her and spanks her playfully. "Peace, love and family that's the real MONEY [heart emoji]," she wrote. The two did not reveal their location or destination and it is unclear if they traveled with their 4-month-old daughter Kulture. Cardi and Offset secretly wed in September 2017. A month later, he proposed to her publicly, onstage at one of his gigs.